People more often do not think much about dressing up their doors with blinds. However, these have the huge impact on the facade as well as the interior design. Blinds are not only for windows but also for doors. PVC Vertical Blinds are one of various types of blinds which suit perfectly for doors, especially sliding doors. Due to its hanging vertical slats, you can easily draw them to either one side or both sides using its continuous cord. Moreover, window blinds are responsible for beautifying home décor, light and air control and privacy. From practical options, most of our clients choose PVC vertical blinds for their doors rather than curtains because it is termite proof, dust proof, waterproof as well as efficient in saving energy and time ─ saving energy in the sense that this can be a good insulator and can save time for it can be easily operated. PVC Vertical Blinds are considered as one of the most affordable yet durable window blinds nowadays. 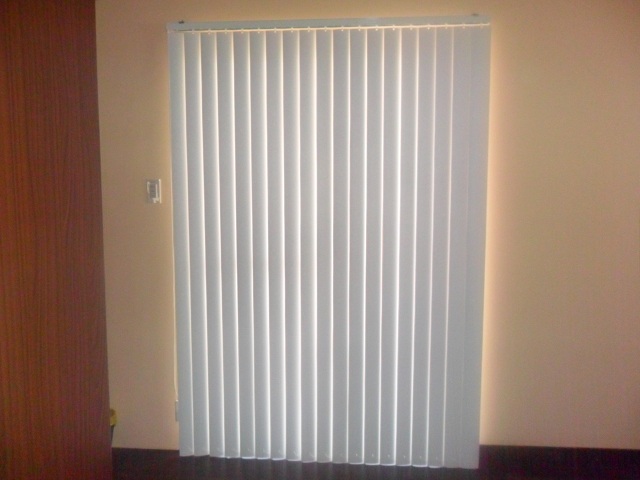 Light colors of PVC Vertical Blinds always make the space larger and airy like what our client from Antipolo City opted. We do FREE home visit if within Metro Manila. We supply and install window blinds. 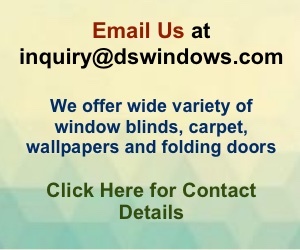 Call us at 0916-311-3909 or (02) 403-3262 or you may email us at inquiry@dswindows.com for more questions.